With so many alternatives to pick from, going to the hippodrome to watch a horse race is not the only option nowadays. But which one do you prefer? The internet played a huge role in facilitating live viewing, and all is needed today is a good internet connection. Numerous websites offer not only the possibility to watch the races, but up-do-date news regarding the subject too. Horse race betting apps and sites often have streaming capabilities that you can access just by making an account. We briefly review some popular ones. TwinSpires (great odds and exciting betting options). Major television channels' websites make sure everybody who is engaged in a way in this sport will be satisfied, so they cover absolutely all the races, providing interviews, information, giving out prognostics about future racetracks and what not. 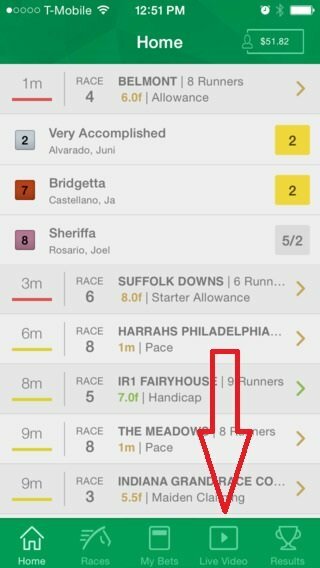 the racetracks can be easily watched live without having the need to pay. 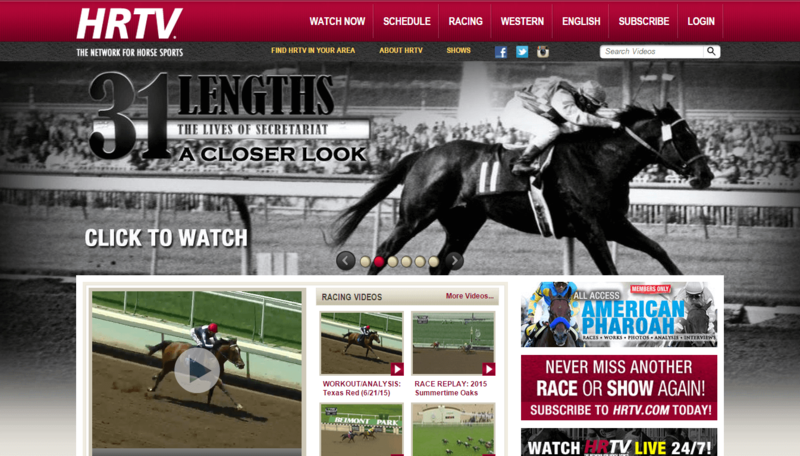 in order to watch HRTV live, you must become a member by logging-in, but you can watch previous racing news and videos for free. For those always on the run, there are mobile applications to be downloaded from the aforementioned websites in order to watch a race live. Some of them have a mobile App version and you can either choose to watch a race on your tablet, or on your smartphone, the quality is usually the same. This type of viewings are high definition and require at least a good wired 3G network. To discover horse racing mobile experience try out the mobile version on some of the websites mentioned above or check for your favourite betting operator mobile Applications. 20% sign-up welcome offers for every newbie. get the chance to be constantly up-to-date with interesting racetrack news. While enjoying an activity we love, it is important to be comfortable and relaxed, with no white noise buzzing us. In this case, watching a race course on TV sounds perfect. All the more so, if you have a big screen in front of your sofa. Over the past couple of years, television channels made a real breakthrough creating sports packages that, at the first glimpse, seem limitless. Horse racing events are broadcast live and fans can contemplate the horse they bet on, if that's the case, very closely. But that's not all. ESPN+ (including other sports, as well). Bars ands pubs know how to keep a customer at the table. The simple fact of having a TV screen in the room will create a homey ambiance. This way, people will feel more comfy, but they will be surrounded by others with the same hobby, even if some are cheering for the wrong horse: your opponent. Regardless, for a couple of hours, you are all in for the same game. There is no other way to truly comprehend what a racecourse is about except by going to the hippodrome. That's the ultimate experience, adventure, every gambler and sports fan must live. That noise coming from everywhere, the tension everybody breathes in, the last minute unimaginable change of events, the fear and the excitement – can't be replaced by anything. The Pleasanton Fairgrounds – Alameda, California (the oldest one of its kind in the US). Watch this video below, and you will know what we're talking about.